The measurement of water activity or equilibrium relative humidity (ERH) is a key parameter in the quality control of moisture sensitive products or materials. If there is too much water in a product, there is a risk of microbial growth and water migration. This can lead to clumping, changes in consistency and reduced shelf-life. Manufacturers of foods and pharmaceutical products must, for example, show to the FDA that the water activity of a product has declined to such an extent that bacteria can no longer grow. 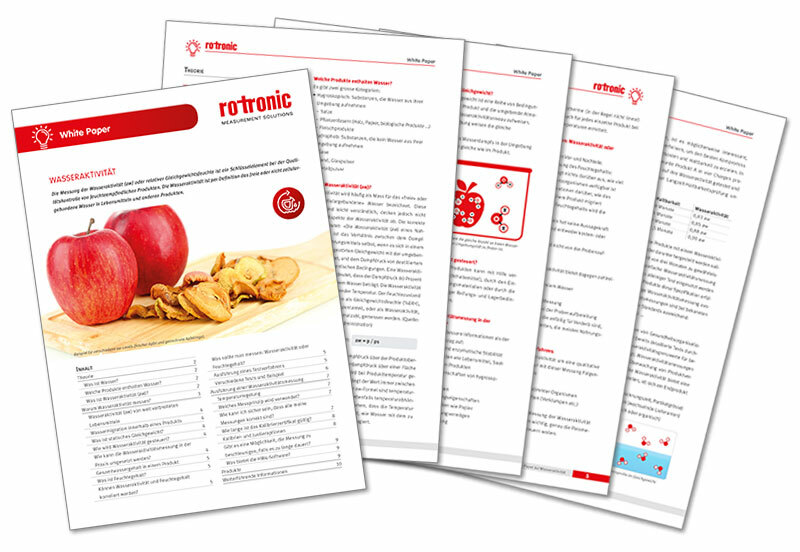 With AwTherm, ROTRONIC offers a professional, high-end laboratory unit for temperature-stabilized measurement of water activity in the foodstuffs, cosmetics, or pharmaceutical industries.